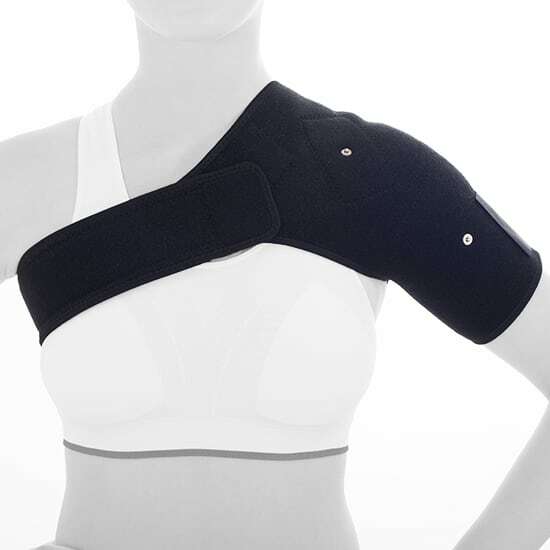 Provides pain relief, support, and protection for the shoulders. The reusable built-in electrode pads transmit electrotherapy in an easy, different way. With the help of the HiDow Shoulder Wrap, the acute and constant pain of the shoulders is alleviated using electrical stimulation and soft compression. 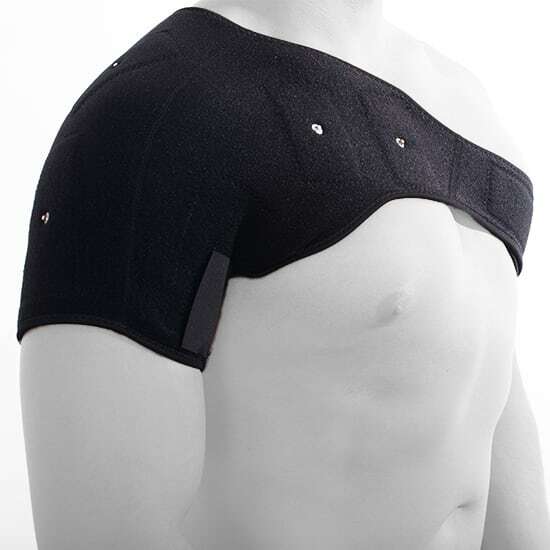 It is compatible with most HiDow TENS devices (sold separately), so the Conductive Shoulder Wrap transmits painless electrical impulses in the targeted area. The combined reusable electrodes which are built into the Wrap give it more comfort. The tapered cut is produced to contour the shoulder area to secure and enhance the electrode contact and placement. To use, simply wrap it around your shoulder and feel the soothing and steady electrostimulation therapy. 1. Connect the Electrode Wire to Shoulder Wrap. 2. Adjust the straps according to your comfort, and wear around the neck. 3. Insert the plus of the electrode wire into the output of the device. Always apply a few drops of water to the conductive rubber surface of the wrap (located on the opposite side from the snaps). This will improve conductivity and make the sensations smoother and stronger. No latex used on this product.